51. Iizumi, T., and N. Ramankutty, 2016: Changes in yield variability of major crops for 1981-2010 explained by climate change, Environmental Research Letters, 11, 034003, doi:10.1088/1748-9326/11/3/034003. 50. Sakai, T, T. Iizumi, M. Okada, M. Nishimori, T. Grunwald, J. Prueger, A. Cescatti, W. Korres, M. Schmidt, A. Carrara, B. Loubet, and E. Ceschia, 2015: Varying applicability of four different satellite-derived soil moisture products to global gridded crop model evaluation, International Journal of Applied Earth Observation and Geoinformation, doi: 10.1016/j.jag.2015.09.011. 49. Okada, M., T. Iizumi, G. Sakurai, N. Hanasaki, T. Sakai, K. Okamoto, and M. Yokozawa, 2015: Modeling irrigation-based climate change adaptation in agriculture: model development and evaluation in Northeast China, Journal of Advances in Modeling Earth Systems, 7, 1409-1424. 48. Kunimitsu, Y., R. Kudo, T. Iizumi, M. Yokozawa, 2015: Technological spillover in Japanese rice productivity under long term climate change: Evidence from the spatial econometric model, Paddy and Water Environment, doi: 10.1007/s10333-015-0485-z. 47. Iizumi, T., and N. Ramankutty, 2015: How do weather and climate influence cropping area and intensity? Global Food Security, 4, 46-50. 46. Kim, W., and FluxPro Committee, FluxPro as a realtime monitoring and surveillance system for eddy covariance measurement. Journal of Agricultural Meteorology (accepted on October 8, 2014). 45. Kunimitsu, Y., R. Kudo, T. Iizumi, M. Yokozawa (2014) Influences of climate change and spatial dependence on rice total factor productivity: Evidence from the spatial econometric models. Studies in Regional Science (accepted on July 23, 2014). 44. Elliott, J., C. Muller, D. Deryng, J. Chryssanthacopoulos, K. J. Boote, M. Buchner, I. Foster, M. Glotter, J. Heinke, T. Iizumi, R. C. Izaurralde, N. D. Mueller, D. K. Ray, C. Rosenzweig, A. C. Ruane, and J. Sheffield (2015) The Global Gridded Crop Model intercomparison: data and modeling protocols for Phase 1 (v1.0), Geoscientific Model Development, 8, 261-277. 43. Sakurai, G., T. Iizumi, M. Nishimori, and M. Yokozawa (2014) How much has the increase in atmospheric CO2 directly affected past soybean production? Scientific Reports, 4, 4978, doi:10.1038/srep04978. 42. Iizumi, T., Y. Tanaka, G. Sakurai, Y. Ishigooka, and M. Yokozawa (2014) Dependency of parameter values of a crop model on the spatial scale of simulation, Journal of Advances in Modeling Earth Systems 6, 527–540. 41. Iizumi, T., J.-J. Luo, A. J. Challinor, G. Sakurai, M. Yokozawa, H. Sakuma, M. E. Brown, and T. Yamagata (2014) Impacts of El Nino Southern Oscillation on the global yields of major crops. Nature Communications, 5, 3712, doi:10.1038/ncomms4712. 40. Jiang, G., M. Xu, X. He, W. Zhang, S. Huang, X. Yang, H. Liu, C. Peng, Y. Shirato, T. Iizumi, J. Wang, and D. V. Murphy (2014) Soil organic carbon sequestration in upland soils of northern China under variable fertilizer management and climate change scenarios, Global Biogeochemical Cycles, 28, 319–333. 39. Iizumi, T. H. Sakuma, M. Yokozawa, J.-J. Luo, A. J. Challinor, G. Sakurai, and T. Yamagata (2014) Characterizing the reliability of global crop prediction based on seasonal climate forecasts. In: The Indo-Pacific Climate Variability and Predictability (eds. Yamagata, T. and S. Behera), Asia-Pacific Weather and Climate book series, the World Scientific Publisher (in press). 38. Iizumi, T., M. Okada, and M. Yokozawa (2014) A meteorological forcing dataset for global crop modeling: development, evaluation, and intercomparison. Journal of Geophysical Research-Atmospheres, 119, 363–384. 37. Iizumi, T., G. Sakurai, and M. Yokozawa (2014) Contributions of historical changes in sowing date and climate to U.S. maize yield trend: An evaluation using large-area crop modeling and data assimilation. Journal of Agricultural Meteorology, 70, 73-90. 36. Yoshida, R, T. Iizumi, and M. Nishimori (2014) Development of impact functions for land-use-change-induced surface warming and their applications in uncertainty analysis. Climate Research, 59, 77-87. 34. Okada, M., T. Iizumi, and M. Yokozawa (2014) Applicability of empirical solar radiation models to altered climate. Journal of Agricultural Meteorology, 70, 13-23. 33. Iizumi, T., G. Sakurai, and M. Yokozawa (2013) An ensemble approach to the representation of subgrid-scale heterogeneity of crop phenology and yield in coarse-resolution large-area crop models. Journal of Agricultural Meteorology, 69, 243-254. 32. Kotera, A., N. D. Khang, T. Sakamoto, T. Iizumi, and M. Yokozawa (2014) A modeling approach for assessing rice cropping cycle affected by flooding, salinity intrusion and monsoon rains in the Mekong Delta, Vietnam. Paddy and Water Environment, 12, 343-354. 31. Iizumi, T., H. Sakuma, M. Yokozawa, J.-J. Luo, A. J. Challinor, M. E. Brown, G. Sakurai, and T. Yamagata (2013) Prediction of seasonal climate-induced variations in global food production. Nature Climate Change, 3, 904–908. 30. Kunimitsu, Y., T. Iizumi, M. Yokozawa (2014) Is long-term climate change beneficial or harmful for rice total factor productivity in Japan: evidence from a panel data analysis. Paddy and Water Environment, 12, 213-225. 29. Yoshida, R., T. Iizumi, M. Nishimori, and M. Yokozawa, 2012: Impacts of land-use changes on surface warming rates and rice yield in Shikoku, western Japan, Geophysical Research Letters, 39, L22401, doi:10.1029/2012GL053711. 28. Iizumi, T., I. Takayabu, K. Dairaku, H. Kusaka, M. Nishimori, G. Sakurai, N. N. Ishizaki, S. A. Adachi, and M. A. Semenov, 2012: Future change of daily precipitation indices in Japan: A stochastic weather generator-based bootstrap approach to provide probabilistic climate information. Journal of Geophysical Research, 117, D11114, doi:10.1029/2011JD017197. 27. Yoshida, R., T Iizumi, and M. Nishimori, 2012: Inter-model differences in the relationships between downward shortwave radiation and air temperatures derived from dynamical and statistical downscaling models. Journal of The Meteorological Society of Japan, 90B, 75-82. 26. Masutomi, Y., T. Iizumi, K. Takahashi, and M. Yokozawa, 2012: Estimation of the damage area due to tropical cyclones using fragility curves for paddy rice in Japan. Environmental Research Letters, 7, 014020. 25. Iizumi, T., and M. Nishimori, 2011: Improvements to statistical climate downscaling simulations by incorporating the APHRO_JP advanced gridded daily precipitation dataset. Global Environmental Research, 15, 95-102. 24. Iizumi, T., M. A. Semenov, M. Nishimori, Y. Ishigooka, and T. Kuwagata, 2012: ELPIS-JP: A dataset of local-scale daily climate change scenarios for Japan. Philosophical Transactions of the Royal Society A, 370, 1121-1139. 23. Iizumi, T., F. Uno, and M. Nishimori, 2012: Climate downscaling as a source of uncertainty in projecting local climate change impacts. Journal of the Meteorological Society of Japan, 90B, 83-90. 22. Uno, F., T. Iizumi, M. Nishimori, and Y. Hayashi, 2012: Time trend and variation in mean and accumulated solar radiations for the ripening period of paddy rice in Kyushu for 1979-2007. Journal of Agricultural Meteorology, 68, 69-76. 21. Sakurai, G, M. Jomura, S. Yonemura, T. Iizumi, Y. Shirato, and M. Yokozawa, 2012: Inversely estimating temperature sensitivity of soil carbon decomposition by assimilating a turnover model and long-term field data. Soil Biology and Biochemistry, 46, 191-199. 20. Okada, M., T. Iizumi, Y. Hayashi, and M. Yokozawa, 2011: Projecting climate change impacts both on rice quality and yield in Japan. Journal of Agricultural Meteorology, 67, 285-295. 19. Okada, M., T. Iizumi, Y. Hayashi, and M. Yokozawa, 2011: Modeling the multiple effects of temperature and radiation on rice quality. Environmental Research Letters, 6, 034031. 18. Sakurai, G., T. Iizumi, and M. Yokozawa, 2011: Varying temporal and spatial effects of climate on maize and soybean affect yield prediction. Climate Research, 49,143-154. 17. Iizumi, T., M. Nishimori, M. Yokozawa, A. Kotera, and N. D. Khang, 2012: Statistical downscaling with Bayesian inference: Estimating global solar radiation from reanalysis and limited observed data. International Journal of Climatology, 32, 464–480. 16. Iizumi, T., M. Nishimori, K. Dairaku, S. A. Adachi, and M. Yokozawa, 2011: Evaluation and intercomparison of downscaled daily precipitation indices over Japan in present-day climate: Strengths and weaknesses of dynamical and bias-correction-type statistical downscaling methods. Journal of Geophysical Research, 116, D01111, doi:10.1029/2010JD014513. 15. Iizumi, T., M. Yokozawa, and M. Nishimori, 2011: Probabilistic evaluation of climate change impacts on paddy rice productivity in Japan. Climatic Change, 107, 391-415. 13. Iizumi, T., K. Ishida, M. Yokozawa, and M. Nishimori, 2010: Potential predictability of local paddy rice yield variation using a crop model with local areal information. Agricultural Information Research, 19, 36-42. 12. Iizumi, T, M. Nishimori, and M. Yokozawa, 2010: Diagnostics of climate model biases in summer temperature and warm season insolation for the simulation of regional paddy rice yield in Japan. Journal of Applied Meteorology and Climatology, 49, 574-591. 11. Nguyen, D. K, A. Kotera, T. Iizumi, T. Sakamoto, and M. Yokozawa, 2010: Variations of water resources in the Vietnam Mekong Delta subjected to climate change and its impacts on rice production. Journal of Agricultural Meteorology, 66, 11-21. 10. Okada, M., T. Iizumi, Y. Hayashi, and M. Yokozawa, 2009: A climatological analysis on recent decreasing trend of rice quality in Japan. Journal of Agricultural Meteorology, 65, 327-337. 9. Iizumi, T., M. Yokozawa, and M. Nishimori, 2009: Development of impact functions on regional paddy rice yield in Japan for integrated impact assessment models. Journal of Agricultural Meteorology, 65, 179-190. 8. Iizumi, T., M. Yokozawa, and M. Nishimori, 2009: Parameter estimation and uncertainty analysis of a large-scale crop model for paddy rice: Application of a Bayesian approach. Agricultural and Forest Meteorology, 149, 333-348. 7. Okada, M., T. Iizumi, M. Nishimori, and M. Yokozawa, 2009: Mesh climate change data of Japan Ver. 2 for climate change impact assessments under IPCC SRES A1B and A2. Journal of Agricultural Meteorology, 65, 97-109. 6. Iizumi, T., M. Yokozawa, Y. Hayashi, F. Kimura, 2008: Climate change impact on rice insurance payouts in Japan. Journal of Applied Meteorology and Climatology, 47, 2265-2278. 5. Iizumi, T., K. Ishida, S. Hirako, and M. Nagaki, 2008: Resistance to cool-summer damage resulting from level of cultivation practices represented by farm household characteristics. Journal of Japanese Agricultural Systems Society, 24, 103-112. 4. Iizumi, T., M. Nishimori, and M. Yokozawa, 2008: Combined equations for estimating global solar radiation: Projection of radiation field over Japan under global warming condition by statistical downscaling. Journal of Agricultural Meteorology, 64, 9-23. 3. Iizumi, T., K. Ishida, S. Hirako, and M. Nagaki, 2007: Influence of rural socioeconomic characteristics on rice yield damage: A case study using GIS in Motegi-cho and Ichikai-cho. Journal of Japanese Agricultural Systems Society, 23, 273-282. 2. Iizumi, T., Y. Hayashi, F. Kimura, 2007: Influence on rice production in Japan from cool and hot summers after global warming. Journal of Agricultural Meteorology, 63, 11-23. 1. Iizumi, T., M. E. Hori, M. Yokozawa, H. Nakagawa, Y. Hayashi, and F. Kimura, 2006: Impact of global warming on rice production in Japan based on five coupled atmosphere-ocean GCMs. SOLA, 2, 156-159. 6. Iizumi, T., and M. Nishimori, 2014: Vulnerability Assessment in Agricultural Sector. JICA Country-by-Country Training Course, Sep. 29 - Dec. 19, 2014, NIAES (Tsukuba, Japan). 5. Iizumi, T., 2013: Toward global crop forecasting: potential and issues. Geospectives, Mar. 17, 2013, McGill University (Montreal, Canada). 4. Iizumi, T., 2011: Climate Change Impacts on Agriculture--Methodological Perspective--. Adaptation to Climate Change, Oct. 12, 2011, JICA Tsukuba (Tsukuba, Japan). 3. Iizumi, T., 2011: Sectoral Impacts: Food Security. Postgraduate Courses - Building Resilience to Climate Change, United Nations University, Mar. 9, 2011,United Nations University (Tokyo, Japan). 2. 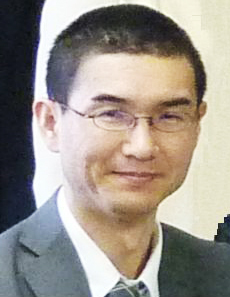 Iizumi, T., 2009: Anthropogenic Climate Change; Impacts of Climate Change on ASEAN and Japan; and Development of Downscaling Techniques. Training Workshop on Climate Application in ASEAN, Oct. 5-9, 2009, Malaysian Meteorological Department (MMD) (Petaling Jaya, Malaysia). 1. Iizumi, T., 2009: Use of Gridded Precipitation Data in Agricultural Application and Statistical Downscaling. Training Seminar on the Quality Control and Interpolation System Used in APHRODITE Gridding Analysis, Sep. 7-11, 2009,Research Institute for Humanity and Nature (RIHN) (Kyoto, Japan). 1. "Research Highlights: How will climate change for rice insurance payouts?" environmentalresearchweb, Dec. 17, 2008. 56. Iizumi, T., 2015: Evaluating weather indices during key phase of rice production derived from seasonal climate forecasts, Kick-off Meeting of the Climate Change Adaptation through Development of a Decision-Support tool to guide Rainfed Rice production (CCADS-RR) Project, Sep. 4, 2015, IRRI Headquarters (Los Banos, Philippines). 55. Iizumi, T., 2015: Global risk assessment of climate-induced food production shocks: From seasonal scale to the end of this century, MARCO Symposium 2015: Next Challenges of Agro-Environmental Research in Monsoon Asia, Aug. 26-28, 2015, Epochal Tsukuba (Tsukuba, Japan). 54. Yokohata, T., K. Tanaka, K. Nishina, K. Takanashi, S. Emori, M. Kiguchi, Y. Iseri, Y. Honda, M. Okada, Y. Masaki, A. Yamamoto, M. Shigemitsu, M. Yoshimori, T. Sueyoshi, K. Iwase, N. Hanasaki, A. Ito, G. Sakurai, T. Iizumi, and T. Oki, 2015: Mapping of interconnection of climate risks. European Geosciences Union (EGU) General Assembly 2015, Apr. 12-17, 2015, Austria Center Vienna (Vienna, Austria). 53. Sakai, T., T. Iizumi, G. Sakurai, M. Okada, and M. Nishimori, 2015: The relationships among temperature, precipitation and topographic complexity on crop yield proxy. International Symposium on Agricultural Meteorology (ISAM2009), Mar. 16-20, 2015, MEXT Tsukuba Center for Institutes (Tsukuba, Japan). 52. Sakurai, G., T. Iizumi, M. Nishimori, M. Okada, and M. Yokozawa, 2015: How much has the past climate change affected the past yields of the major crops all over the world? International Symposium on Agricultural Meteorology (ISAM2009), Mar. 16-20, 2015, MEXT Tsukuba Center for Institutes (Tsukuba, Japan). 51. Iizumi, T., 2015: Application of seasonal climate forecast to crop yield prediction. International Symposium on Agricultural Meteorology (ISAM2009), Mar. 16-20, 2015, MEXT Tsukuba Center for Institutes (Tsukuba, Japan). 50. Yokohata, T., K. Nishina, K. Takahashi, M. Kiguchi, Y. Iseri, T. Sueyoshi, M. Yoshimori, K. Iwase, A. Yamamoto, M. Shigemitsu, Y. Honda, N. Hanasaki, Y. Masaki, A. Ito, T. Iizumi, G. Sakurai, M. Okada, S. Emori, and T. Oki, 2014: Visualization of the chains of risks under global climate change. AGU Fall Meeting 2014, Dec. 15-19, 2014, Moscone Convention Center (San Francisco, USA). 49. Iizumi, T., G. Sakurai, and N. Ramankutty, 2014: Climate-induced changes in year-to-year variations in yields of major crops. AGU Fall Meeting 2014, Dec. 15-19, 2014, Moscone Convention Center (San Francisco, USA). 48. Sakai, T., T. Iizumi, G. Sakurai, M. Okada, and M. Nishimori, 2014: Global patterns of the trends in satellite-derived crop yield proxy, temperature and soil moisture. AGU Fall Meeting 2014, Dec. 15-19, 2014, Moscone Convention Center (San Francisco, USA). 47. Sakurai, G., T. Iizumi, M. Nishimori, M. Okada, and M. Yokozawa, 2014: The past impact of climate change on major crop yield. AGU Fall Meeting 2014, Dec. 15-19, 2014, Moscone Convention Center (San Francisco, USA). 46. Okada, M., T. Iizumi, G. Sakurai, T. Sakai, and M. Yokozawa, 2014: Modeling the climate change adaptation of crop production using irrigation over water-limited region. AGU Fall Meeting 2014, Dec. 15-19, 2014, Moscone Convention Center (San Francisco, USA). 45. Iizumi, T., 2014: Toward global crop forecasting: potential and issues. APEC Workshop on Application of Seasonal Forecasts for the Agricultural Sector, Sep. 18-19, APEC Climate Center (Busan, Republic of Korea). 44. Sakurai, G., T. Iizumi, and M. Yokozawa, 2013: A data-oriented semi-process model for evaluating the yields of major crops at global scale (PRYSBI-2). AGU Fall Meeting 2013, Dec. 9-13, 2013, Moscone Convention Center (San Francisco, USA). 43. Okada, M., G. Sakurai, T. Iizumi, and M. Yokozawa, 2013: A crop-water model for simulating both of regional crop yields and water balance simultaneously: An application to Songhua river watershed, Northeast China. AGU Fall Meeting 2013, Dec. 9-13, 2013, Moscone Convention Center (San Francisco, USA). 41. Iizumi, T. 2013: Characterizing the reliability of global crop prediction based on seasonal climate forecasts. APL-SATREPS Workshop on the Predictability of Climate Variations and its Applications, Mar. 1, 2013, University of Tokyo (Tokyo, Japan). 40. Okada, M., G. Sakurai, T. Iizumi, and M. Yokozawa, 2012: An integrated model for assessing both crop productivity and agricultural water resources at a large scale. AGU Fall Meeting 2012, Dec. 3-7, 2012, Moscone Convention Center (San Francisco, USA). 39. Yokozawa, M., G. Sakurai, and T. Iizumi, 2012: Projecting climate change impacts on the stability of productivities of maize and soybean in terms of probability of concurrent failure. AGU Fall Meeting 2012, Dec. 3-7, 2012, Moscone Convention Center (San Francisco, USA). 38. Iizumi, T., M. Yokozawa, and G. Sakurai, 2012: Development of a global, gridded, and time-series crop yield dataset for four major cereal and legume crops. AGU Fall Meeting 2012, Dec. 3-7, 2012, Moscone Convention Center (San Francisco, USA). 37. Iizumi, T., M. Yokozawa, G. Sakurai, M. I. Travasso, V. Romanernkov, P. Oettli, T. Newby, Y. Ishigooka, and J. Furuya, 2012: Historical changes in global yields from 1982 to 2006: A global yield dataset. AgMIP (Agricultural Model Intercomparison and Improvement Project) 3rd Global Warkshop, Oct. 10-12, 2012, UN FAO Headquarters (Rome, Italy). 36. Iizumi, T., H. Sakuma, M. Yokozawa, J.-J. Luo, A. J. Challinor, and T. Yamagata, 2012: Forecasting global crop failures to prepaer climate-induced food insecurity. APEC () Climate Symposium 2012: Harnessing and Using Climate Information for Decision Making-An In-Depth Look at the Agricultural Sector, Oct. 8-11, 2012, Park Inn Pulkovskaya (St. Petersburg, Russia). 35. Iizumi, T., J.-J. Luo, G. Sakurai, H. Sakuma, and M. Yokozawa, 2012: Predictability of global crop yield variations using seasonal climate forecasts. NCCARF Climate Adaptation in Action 2012, Jun. 26-28, 2012, Sebel Hotel Albert Park (Melbourne, Australia). 34. Iizumi, T., 2012: Forecasting global crop failure to prepare climate-induced food insecurity. 2nd CCARA (Climate Change Adaptation in Rainfed Rice Area) Annual Review and Planning Meeting, Apr. 19-20, 2012, Lao Plaza Hotel (Vientiane, Laos). 33. Sakurai, G., T. Iizumi, and M. Yokozawa, 2012: Assimilating photosynthesis model with the data of FACE experiment. 59th Annual Meeting of Ecological Society of Japan (ESJ59), Mar. 17-21, 2012, Ryukoku University (Otsu, Japan). 32. Yoshida, R., M. Nishimori, T. Iizumi, and T. Osawa, 2012: Contributions of increased agricultural abandonment area to recent surface warming trend in Shikoku Island, Japan. EGU General Assembly 2012. Apr. 22-27, 2012, Austria Center Vienna (Vienna, Austria). 31. Sakurai, G., T. Iizumi, and M. Yokozawa, 2011: Examining the effect of down regulation under elevated [CO2] on the growth of soybean assimilating a semi process-based model and FACE data. AGU Fall Meeting 2011. Dec. 5-9, 2011, Moscone Convention Center (San Francisco, USA). 30. Iizumi, T., M. Yokozawa, and G. Sakurai, 2011: Climate and management contributions to recent trends in U.S. maize yield derived from a large-area crop model and data assimilation. AGU Fall Meeting 2011. Dec. 5-9, 2011, Moscone Convention Center (San Francisco, USA). 29. Iizumi, T., 2011: A process-based large-area crop model to capture the impact of climate variability on crop productivity over a country scale: U.S. maize case. SATREPS Symposium on Climate Prediction and Its Application in the Southern African Region, Oct. 20-21, 2011, Koshiba Hall (Tokyo, Japan). 28. Iizumi, T., M. A. Semenov, M. Nishimori, Y. Ishigooka, and T. Kuwagata, 2011: ELPIS-JP: A dataset of local-scale daily climate change scenarios for Japan. 3rd International Workshop on Downscaling, Oct. 17-19, 2011, Tsukuba International Congress (Tsukuba, Japan). 26. Iizumi, T., and M. Nishimori, 2011: A comparison of dynamical and statistical downscaling methods: Daily precipitation indices over Japan in present-day climate. International Symposium on Agricultural Meteorology (ISAM2009),Mar. 16-18, 2011, Kagoshima University (Kagoshima, Japan). 25. Sakurai, G., M. Jomura, M. Yokozawa, S. Yonemura, T. Iizumi, and Y. Shirato, 2010: Bayesian inference of the model parameters of RothC model using a hybrid method of particle filter and MH algorithm. AGU Fall Meeting 2010. Dec. 13-17, 2010, Moscone Convention Center (San Francisco, USA). 24. Yokozawa, M., G. Sakurai, and T. Iizumi, 2010: Climatological sensitivity analysis of crop yield to changes in temperature and precipitation using particle filter. AGU Fall Meeting 2010. Dec. 13-17, 2010, Moscone Convention Center (San Francisco, USA). 23. Iizumi, T., M. Yokozawa, G. Sakurai, and M. Nishimori, 2010: Simulating large-scale crop yield by using perturbed-parameter ensemble method. AGU Fall Meeting 2010. Dec. 13-17, 2010, Moscone Convention Center (San Francisco, USA). 22. Hijioka, Y., K. Takahashi, S. Kazama, S. Kawagoe, M. Yokozawa, T. Iizumi, 2010: Assessments of impacts and adaptations to climate change in Japan using an integrated assessment model, AIM/Impact[Policy]. NCCARF 2010 International Climate Change Adaptation Conference, 29 Jun.-1 Jul. Gold Coast Convention Centre (Queensland, Australia). 21. Kotera, A., N. D. Khang, T. Sakamoto, T. Iizumi, and M. Yokozawa, 2010: Modeling rice cropping schedules in the Vietnam Mekong Delta for adapting to changes in flooding, salinity intrusion and monsoon rains. NCAERF 2010 International Climate Change Adaptation Conference, 29 Jun.-1 Jul. Gold Coast Convention Centre (Queensland, Australia). 20. Iizumi, T., M. Yokozawa, and M. Nishimori, 2010: Modeling interannual variation of crop productivity: Towards global crop forecasting. NCARF 2010 International Climate Change Adaptation Conference, 29 Jun.-1 Jul. Gold Coast Convention Centre (Queensland, Australia). 19. Iizumi, T., M. Nishimori, and M. Yokozawa, 2010: Expected enhancement of statistical downscaling method induced by a use of gridded daily precipitation dataset. Japan Geoscience Union (JpGU), May. 23-28, 2010,Makuhari Messe International Conference Hall (Chiba, Japan). 18. Iizumi, T., 2010: Requested accuracy of climate data from agricultural impact study in Japan. Workshop on dynamical downscaling over Japan, Jan. 25-27, 2010, Tsukuba International Congress (Tsukuba, Japan). 17. Iizumi, T., and M. Nishimori, 2009: A comparison of dynamical and statistical downscaling methods participated in the S-5-3. 3rd Mini-International Workshop on Downscaling, Dec. 9, 2009,Meteorological Research Institute (Tsukuba, Japan). 16. Iizumi, T., 2009: An application of Bayesian approach to upscale a crop model from field scale to grid scale of climate models. UK-Japan Workshop: Towards the next generation of crop models for projecting the impacts of climate change on food security, Nov. 10-11, 2009,British Embassy Tokyo (Tokyo, Japan). 15. Iizumi, T., M. Nishimori, and M. Yokozawa, 2009: Diagnosis of climate-model bias in summer temperature and warm season insolation for simulating regional paddy rice yield in Japan. 4th Japan-Chine-Korea Joint Conference on Meteorology, Nov. 8-10, 2009, Epochal Tsukuba (Tsukuba, Japan). 14. Hijioka, Y., K. Takahashi, N. Mimura, S. Kazama, S. Kawagoe, N. Tanaka, T. Matsui, H. Daimaru, K. Nakamura, M. Yokozawa, T. Iizumi, T. Suzuki, Y. Honda, E. Ohno, H. Morisugi, N. Hanasaki, and H. Harasawa, 2009: Implications of 4+oC in Japan--Quantitative analysis of sectoral impacts of climate change in Japan using an integrated assessment model, AIM/Impact [Policy]--. International Climate Conference: Implications of a global climate change of 4+ degrees for people, ecosystems and the earth-system (4 degrees & beyond), Sep. 28-30, 2009, University of Oxford (Oxford, UK). 13. Masutomi, Y., T. Iizumi, K. Takahashi, and M. Yokozawa, 2009: Development of a global crop model based on SWAT model. International Symposium on Agricultural Meteorology (ISAM2009), Mar. 26-27, 2009, Fukushima Agricultural Technology Centre (Fukushima, Japan). 12. Okada, M., T. Iizumi, Y. Hayashi, and M. Yokozawa, 2009: A statistical analysis on decreasing trend in rice quality under recent climate shifts. International Symposium on Agricultural Meteorology (ISAM2009), Mar. 26-27, 2009, Fukushima Agricultural Technology Centre (Fukushima, Japan). 11. Iizumi, T., M. Nishimori, M. Yokozawa, A. Kotera, and N. D. Khang, 2009: Estimation of daily global solar radiation in Vietnamese Mekong Delta area: A combinational application of statistical downscaling method and Bayesian inference. International Symposium on Agricultural Meteorology (ISAM2009), Mar. 26-27, 2009, Fukushima Agricultural Technology Centre (Fukushima, Japan). 10. Nishimori, M., and T. Iizumi, 2009: A statistical downscaling for regional-scale solar radiation change over Japan by using global reanalysis meteorological datasets. International Symposium on Agricultural Meteorology (ISAM2009),Mar. 26-27, 2009,Fukushima Agricultural Technology Centre (Fukushima, Japan). 9. Iizumi, T., 2009: A probabilistic assessment of climate change impact on productivity and variability of paddy rice yield in Japan. International Workshop on Global Change Projection: Modeling, Intercomparison, and Impact Assessment jointly with 2nd International Workshop on KAKUSHIN Program, Feb. 18-20, 2009, Yokohama Bay Sheraton Hotel & Towers (Yokohama, Japan). 8. Iizumi, T., and M. Nishimori, 2009: Uncertainty analysis of a statistical downscaling method: Application of a Bayesian inference. 2nd Mini-International Workshop on Downscaling, Jan. 20-21, 2009, Meteorological Research Institute (Tsukuba, Japan). 7. Iizumi, T., M. Nishimori, M. Yokozawa, A. Kotera, and N. D. Khang, 2008: Estimation of daily global solar radiation in Vietnamese Mekong Delta area: A combinational application of statistical downscaling method and Bayesian inference. AGU Fall Meeting 2008. Dec. 15-19, 2008, Moscone Center (San Francisco, USA). 6. Iizumi, T., M. Yokozawa and M. Nishimori, 2008: Impact Function of Prefectural-scale Paddy Rice Yield in Japan for the Asia-Pacific Integrated Model. International Symposium on Agricultural Meteorology (ISAM2008), Mar. 21-22, 2008, Kaikyo Messe Shimonoseki (Shimonoseki, Japan). 5. Nishimori, M. and T. Iizumi, 2008: Estimation of future regional-scale solar radiation change in Japan by using a statistical downscaling method, International Symposium on Agricultural Meteorology (ISAM2008), Mar. 21-22, 2008, Kaikyo Messe Shimonoseki (Shimonoseki, Japan). 4. Jomura, M., M. Yokozawa, S. Yonemura, and T. Iizumi, 2007: Probabilistic inversion of temperature dependency on soil organic carbon turnover in Japanese arable land. 3rd International Conference on Mechanisms of Organic Matter Stabilisation and Destabilisation in Soils and Sediments, Sep. 23-26, 2007, Stamford Grand Hotel (Adelaide, Australia). 3. Jomura, M., M. Yokozawa, S. Yonemura, and T. Iizumi, 2007: Estimating parameters in a soil organic matter model by Monte Carlo sampling: A case study of Japanese arable soil. International Workshop on Advanced Flux Network and Flux Evaluation, Sep. 27-29, Oct. 19-21, 2007, Aspire Park (Taoyuan, Taiwan). 2. Iizumi, T., 2007: Climate change impacts on agriculture in Japan. Asian Young Leader's Climate Forum, Dec. 3-8, 2007, Center for International Forest Research (CIFOR) (Bogor, Indonesia). 1. Iizumi, T., Y. Hayashi, and F. Kimura, 2006: Influence to the rice production in Japan by cool-summer and hot-summer after global warming. Symposium on Impact Evaluation of Global Warming and Approach to Risk Analysis in East Asia (GWEA2006), Oct. 31-Nov. 2, 2006, National Taiwan University (Taipei, Taiwan).